The new signings don’t stop for Galatasaray! The Eurocup champions have also announced the addition of American power forward/center Deon Thompson for the upcoming season. There is no stop in the storm of new signings by Galatasaray! The Eurocup champions have now also announced the addition of American power forward/center Deon Thompson for the upcoming season. Thompson arrives to Istanbul and his new team from Bayern Munich with which he averaged 9.2 points plus 4.1 rebounds in Euroleague, and 10.2 points, along with 4.8 rebounds per game in Eurocup. 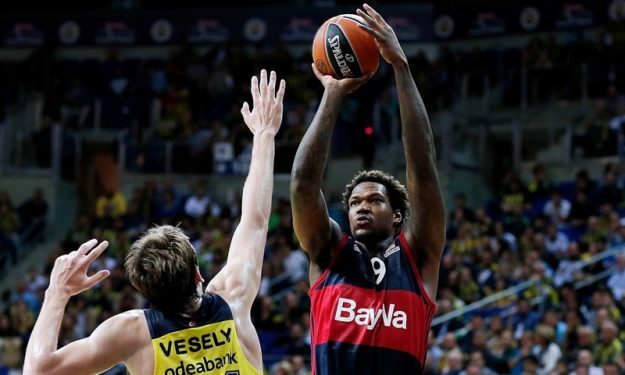 Quite versed in European basketball, since he has spent almost the entirety of his career so far in the continent, Thompson adds a powerful body in the frontline of the “Cimbom“, which now looks complete, after the deals with Nenad Krstic, Alex Tyus and Austin Daye.